Himalayas, having complex geography and geotechnical conditions, is highly prone to landslide instability. The present study aims at the slope instability prediction along the National Highway-21, from Rohtang to Bara-lacha in Lahaul–Spiti District, Himachal Pradesh, India by employing ArcGIS and remote sensing database. Several factors triggering the landslides were generated on the map by utilizing the available multi-temporal remote sensing data at macroscale of 1:50,000. To find out the degree of susceptibility of the landslides, information value model was utilized. Information values were attributed on the basis of landslides pixel count in each class of a causative factor triggering landslides. The success rate curve was developed by employing an area under curve (AUC) method to check the accuracy of the applied model. The landslide susceptibility map was classified on the basis of their probability values into “low, moderate, high, and very high” susceptibility zones with the help of natural break spatial analyst tool in ArcGIS. The landslide susceptibility zonation map delineated in this paper can be used by various stakeholders like state governments, researchers, and the citizens to develop, and manage the developmental activities in the study area in particular, and in the other similar areas in general. 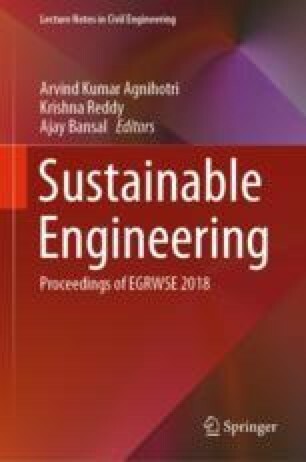 This paper is a part of the Department of Science and Technology, Ministry of Science and Technology, Government of India sponsored project “GIS-Based Snow Melt Water/Rainfall-Induced Debris Flow Landslide Susceptibility Assessment between Rohtang and Baralacha - La in Himachal Pradesh, India”. The authors duly acknowledge the support of DST for carrying out this project at National Institute of Technology, Hamirpur (HP). The authors are thankful to Dr. Bhoop Singh and Dr. A. K. Singh of Department of Science and Technology, Ministry of Science and Technology, for their suggestions from time to time.